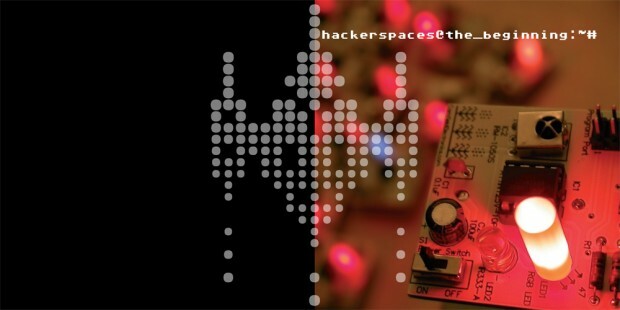 May 4, 2013 (LocalOrg) - Citizen Science Quarterly recently published a feature titled, "Hackerspaces @ the_beginning (the book)," summarizing the 108 page book which chronicles the creation, challenges and successes of hackerspaces around the world. Published by Bre Pettis (of Makerbot fame, co-founder of the NYC Resistor hackerspace), Astera Schneeweisz, and Jens Ohlig, it represents three years of research and documentation presented in an easy-to-read narrative. Best of all, the book is offered in .pdf format for free. Citizen Science Quarterly offers a link to download the original file here, and an online version can be viewed here, on Scribd. Hackerspaces, for those that do not know, are physical spaces where people meet and work on projects related to science and technology. Functioning much like a gym where you pay dues to gain access to exercising equipment, hackerspaces collect dues to pay for the space and tech equipment. The importance of these "local institutions" is that they allow ordinary people to directly work on and advance modern technology - ranging from computers and 3D printers, to synthetic biology and homebrewed drones. The democratization of this technology is of absolute importance to prevent an increasingly dangerous technological divide between special interests and the masses.